Makeup Blender Sponges have changed the way we apply our foundations. It helps to leave a gorgeous flawless look. 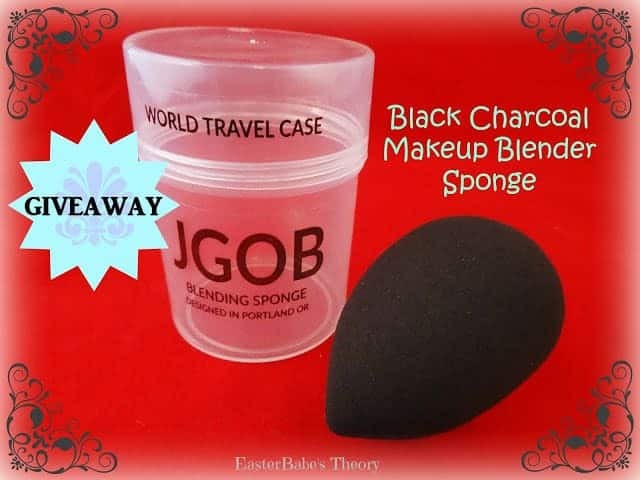 JGOB has a Charcoal Makeup Blender Sponge that is extremely soft to the touch. It glides across your face and evens out your foundation leaving no streaks. This sponge is a teardrop shape which allows you to get into creases with ease. Who wants to waste their foundation by using other types of makeup sponges? With this Makeup Blending Sponge, you are able to prevent wasting your makeup which in turn saves you money. Simply soak the sponge in water and let it absorb as much as it can. By wetting the sponge, this will allow the foundation to set on top of the sponge and not soak into the middle so you can get the most out of your foundation. Be sure to squeeze out the excess water before using. You can apply your foundation onto the back of your hand and dip the blending sponge into the foundation and apply. Be sure to bounce the sponge along your face and don’t rub. The makeup blending sponge is reusable. It’s simple to keep clean. You can use a Blender Cleanser or even baby shampoo. Apply a small drop to the sponge and gently rub in. Then run the sponge under water and massage until all makeup is removed. Then let the sponge air dry. This makeup blender sponge is approximately 2.5”. It will come wrapped in plastic and placed inside a plastic travel case. The case is 2.75” x 2”. It’s great to throw in your purse for those moments that you need to freshen up. It’s also great to use when traveling or simply just for storage. You can use this Makeup Blender Sponge to apply your favorite foundations, moisturizers, serums, and even primers. It’s a great way to get a flawless look and save money by not wasting your beauty products. Check out JGOB Black Charcoal Makeup Blender Sponge on Amazon. This looks great! I have the original Pink Beauty Blender and would wonder how this compares, love that it is charcoal. Entered! I have seen these sponges on some of the review sites and wondered why everyone was so crazy about them. I wasn't really sure how it was used. After reading your review, it make me want to try them as well. After you use it and rinse it off do you let it air dry on the sink or put it in a baggie or something?